At Honilands we are fortunate that our pupils, their families and our staff represent a diverse range of home backgrounds. We teach a topic themed curriculum which links with the national curriculum. It also incorporates the interests of pupils and supports them in becoming good local, national and global citizens of the future. We promote these values in a variety of ways across our curriculum. 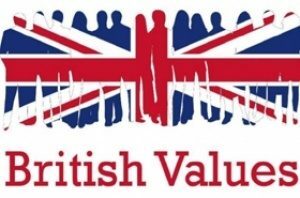 One of our weekly assemblies always focuses on British values. As part of our Curriculum we teach PSHE using the Jigsaw scheme of work. The leaflets below map the five strands of British values across every puzzle and every piece. Each year the children decide upon their class rules and the rights associated with these. We have an active school council and the school carries out a full election campaign, first learning about the British democratic process. Children have to present to the class why they would be a good school council member and are then elected through a secret ballot. The school councillors then represent the voice of their class in meetings and on projects that the council carry out. There are also Junior Travel Ambassadors who help to support the school travel plan. The children are also involved in deciding what they would like to learn, through curriculum topics. In addition to this, children complete an annual questionnaire where they are able to put forward their views and opinions about the school. Finally, we encourage pupils to express their views in class, as well as listening to the views of others. The importance of laws, whether they are those that govern the class, the school, or the country, is consistently reinforced at Honilands. Pupils are taught from an early age the rules of the school. These are our Golden Rules, our school values. Pupils are taught the value and reasons behind rules and laws: that they govern and protect us, the responsibilities that this involves and the consequences when laws are broken. Visits from authorities such as the Police and Fire Service help reinforce this message. At Honilands, pupils are actively encouraged to make choices, knowing that they are in a safe and supportive environment. As a school we educate and provide boundaries for young pupils to make informed choices. Pupils are encouraged to take part in our numerous extra-curricular clubs and opportunities. In lessons we encourage children to make choices about where they are in their learning, giving them the choice to try more challenging work in each lesson. Pupils are taught to understand and exercise their rights and personal freedoms in a safe way, e.g in P4C, or during circle time in PSHE lessons. Our school ethos and behaviour policy has revolved around core values such as 'Respect', and pupils have been part of discussions and assemblies related to what this means and how it is shown. Debates in class help to develop children’s understanding of others around them. The school ethos and aims promote respect for others and this is reiterated through our classroom and Golden Rules, as well as our behaviour policy. Our teachers make lessons enjoyable and interesting and everybody is expected to do their best and respect others views and their work. Honilands is a diverse and multicultural school. We celebrate Black History month and recognise the achievements of people from different cultures and religions. We actively promote diversity through celebrations of different faiths and cultures. Religious Education and PSHE lessons reinforce messages of tolerance and respect for others. Members of different faiths and religions are encouraged to share their knowledge to enhance learning within classes and the school. The children visit places of worship that are important to different faiths. We also have themed lunches to celebrate different events such as an Eid lunch or a Royal Wedding Celebratory lunch. We also have themed assemblies and weeks where we celebrate and learn different cultures and beliefs. The school is currently part of the Erasmus project that allows some of our pupils to visit Madrid, Spain to learn about their culture and beliefs.